Adobo Comes from Spanish Adobar “to marinade”. So it is written in Wikipedia. This is a popular dish and cooking process in Philippine cuisine that involves meat, seafood, or vegetables marinated in vinegar, soy sauce, and garlic, which is browned in oil, and simmered in the marinade. It has sometimes been considered as the unofficial national dish in the Philippines. 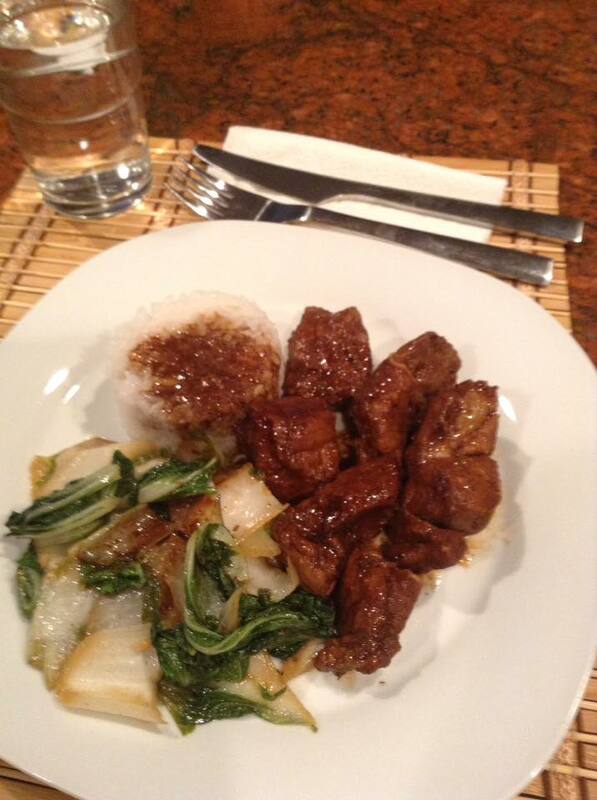 Serve with steamed white rice, sticky rice is great with this meat. Most any vegetable finishes off the dish. Place all ingredients in a good size saucepan and bring to a boil. reduce heat to medium low or to low depending on your range. Simmer 2 1/2 to 3 hours letting the fluids reduce by 1/4.